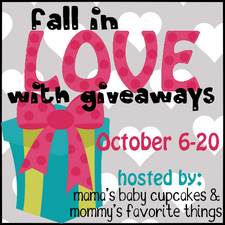 Welcome to the "Fall In Love with Giveaways" Giveaway Hop hosted by Heather from Mommy's Favorite Things and Michelle from Mama's Baby Cupcakes. This hop has an open theme, which means anything family friendly is up for grabs! Each blog has a minimum prize package of $25 per winner. After visiting my giveaway, make sure you use the linky below to take a look at the other blogs to see what they have to offer for you! 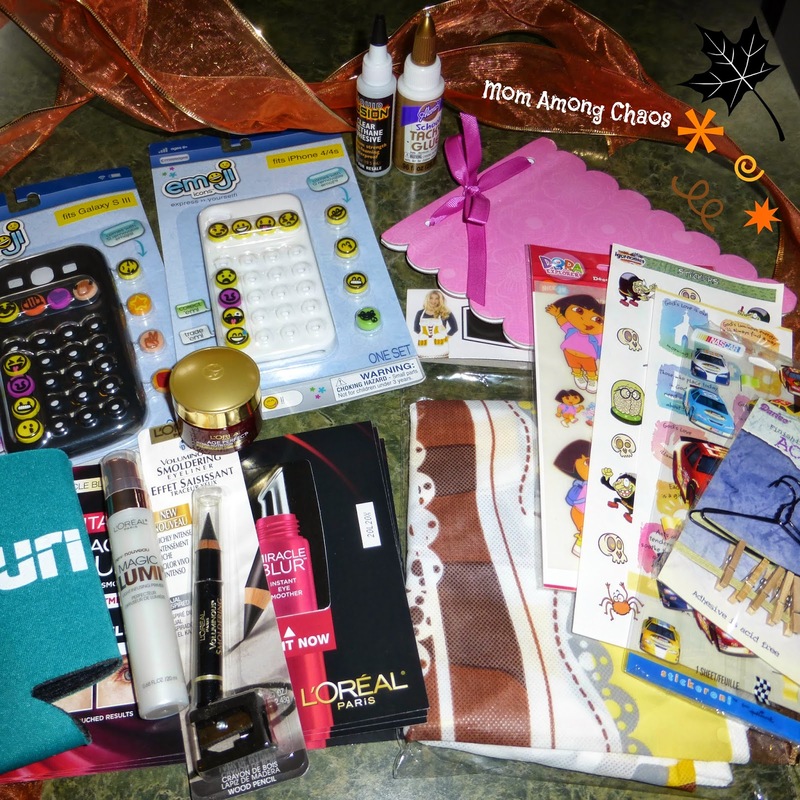 Mommy's Favorite Things has put a fun Grand Prize together for this blog hop. Sponsors include Mixie with Heather's spotlight post here, Aden & Anais with Heather's review here, and Knocked Up Fitness with Heather's review here. 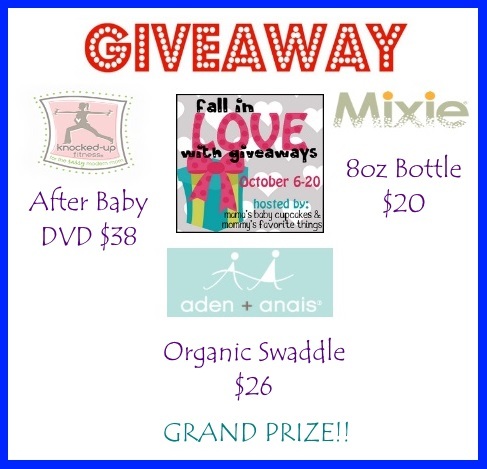 Total prize value is over $80 and great for moms with babies! 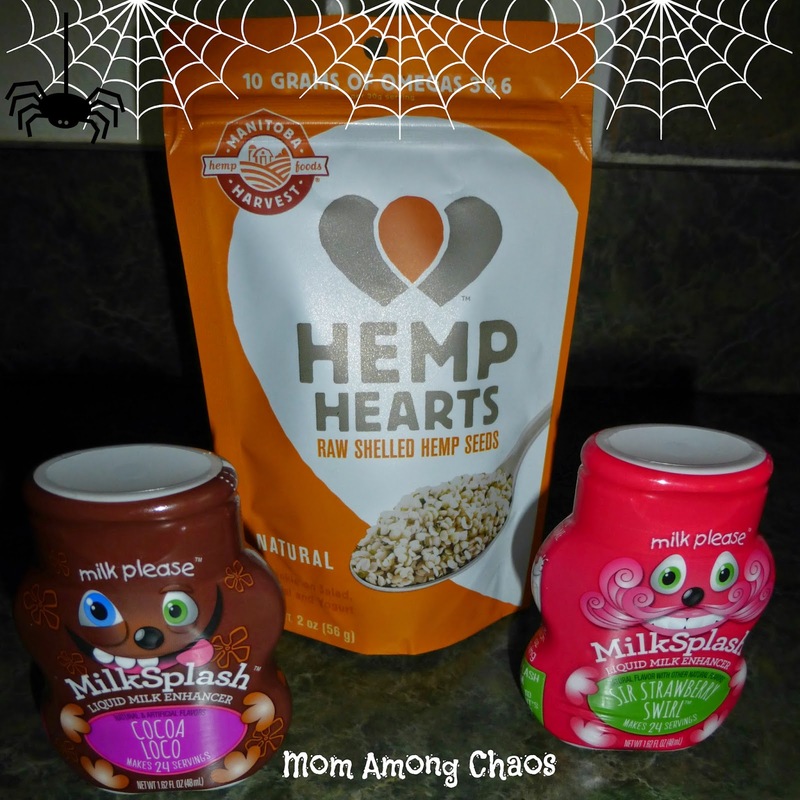 Mom Among Chaos is excited to join in this giveaway hop. We are also celebrating our 2nd Blogiversary this month. Enjoy entering all the giveaways at the links below. Disclosure: Mama's Baby Cupcakes, Mommy's Favorite Things and the "Fall In Love with Giveaways" participating bloggers are not responsible for sponsors who do not fulfill prize obligations.